Hi All, craziest thing on my 99 Accord EXV6. It will only run if my code reader CABLE is plugged to the OBD plug. Not the code reader itself, just the cable. Cranks and runs fine, dies when I unplug the cable. If I unplug cable while off, it will not start. If i turn ignition to ON position without cable, it makes a weird clicking noise. As long as the cable is in, with or without the reader doesn't matter, it runs fine. WHAT THE HECK? HELP! What work has been done to the car recently? This usually happens when there is a bad ground to the PCM (G101, is the main ground for the PCM). Thanks Poorman. The alternator was changed about 2 months before this started. And a new stereo head was installed about a year before this symptom started. I guess i should pull the bezel and start looking to see if all the grounds in there are tight. It's there a way to track just G101? G101 on the v6's is a bit hard for me to describe - never personally put my eyes/hands on it. 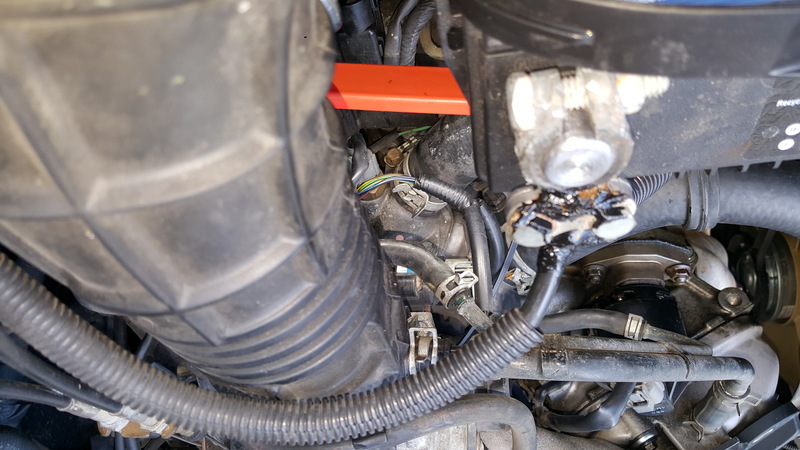 Plus if no one have been around the engine bay - It would seem the issue is not with G101 as it is on the drivers side of the engine around the throttle body area. Based upon the new head unit, yes I would look around in that area to start. I finally got time to search some pics...yeah, it would be difficult to see if you didn't know where to look. It's under the radiator hoses at the engine block, below the throttle body. I found mine, and it was about 4 turns loose. 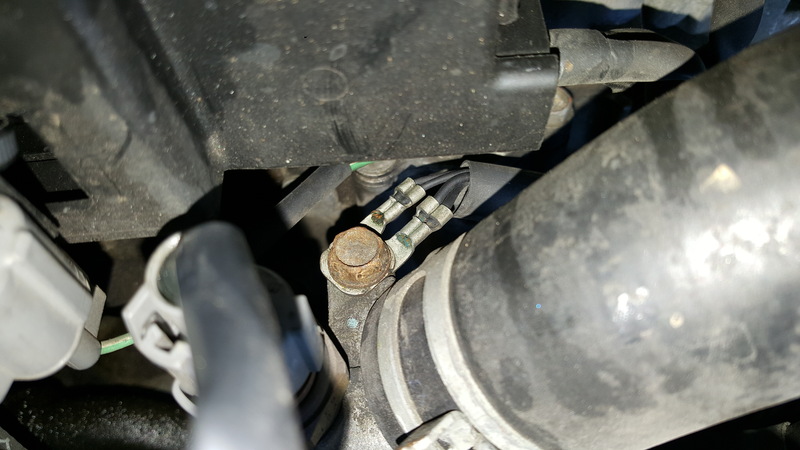 It appears the egr valve is also grounded in there, which makes sense since I've had a stubborn egr code that comes and goes. I was able to tighten it with my 10mm socket with an extension. Didn't have to remove anything to do it, but it is moderately obscure so there was a bit of finger-feeling to guide the wrench onto it. I'll know this afternoon if it solved all my problems. Thanks a ton poorman212! Were you able to see it? 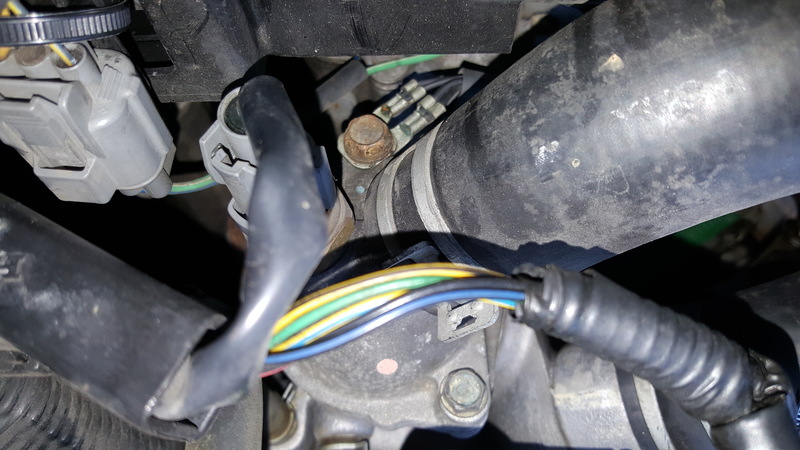 Sometimes the wires & ring-terminal are corroded, which adds to the problem. I could barely see it. I did not take the time to pull it all the way off and clean the Rings really well. I wanted to make sure it was not going to give me more issues. This weekend, I plan on pulling it back off and cleaning the terminal rings along with some other maintenance items I will be doing. So since you go it tight has the car been acting better? Yep! Seems to have solved my problem. I got a few good pics. Now if i can figure out how to post them. Give me few. 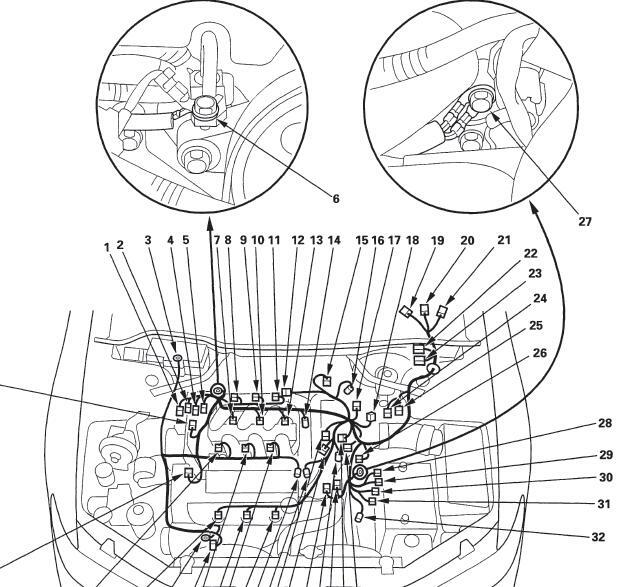 Quick Reply: 99 Accord v6 Crazy ECM?